The Federal Government on Tuesday inaugurated 300 vehicles purchased by the Road Transport Employers Association of Nigeria to efficiently boost road transportation across the country. In his address at the inauguration ceremony in Abuja, the Secretary to the Government of the Federation, Boss Mustapha, said the purchase of the vehicles, which include brand new buses, pick-up trucks and saloon cars, was the first major intervention that would inject new life into the road transport system by any trade union in Nigeria. Mustapha noted that the road transport industry was the most widely patronised and the most critical component of the transportation sub-sector of Nigeria’s economy. The SGF, who was represented by a Permanent Secretary from his office, Olusegun Adekunle, said, “In Nigeria today, inter and intra state transportation of people and goods are dependent mostly on road transportation. He stated that with the inauguration of the vehicles, RTEAN would be adding about 5,000 direct and indirect jobs to the economy. Mustapha added, “This will no doubt improve the Nigerian road transportation system tremendously and increase the road network as well. The National President, RTEAN, Osakpamwan Eriyo, said the association’s mass transit scheme was officially flagged off in November 2014 and that the inauguration of the 300 buses had established, consolidated and justified the success story of the scheme. 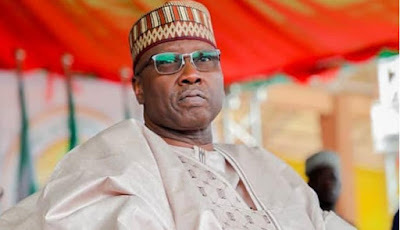 He said the association collaborated with the Federal Government through the SGF and the Bank of Industry and urged the government to ensure that all ongoing road projects linking and connecting states of the federation were made user-friendly and completed in record time. “As the nation’s foremost road transport trade union with over 16 million members including affiliates and considering the employment opportunities provided by the association, our capacity to effectively partner the Federal Government to mop up and address critical youth unemployment cannot in any way be taken for granted,” Eriyo stated.